Impress your group with critically acclaimed Chicago restaurants that range from budget Bib Gourmand picks to Michelin-star winners. You’ll find top-notch group dining in Chicago conveniently located near McCormick Place, further enhancing your meeting or convention experience. These Michelin-rated and recommended eateries ensure that groups will enjoy excellent cuisine. And meeting planners will love that many of the restaurants near McCormick Place tout budget-friendly price points. For “exceptional food at moderate prices,” take a cue from Michelin’s Chicago Bib Gourmand recommendations with budget-conscious restaurants ranging from casual to upscale. 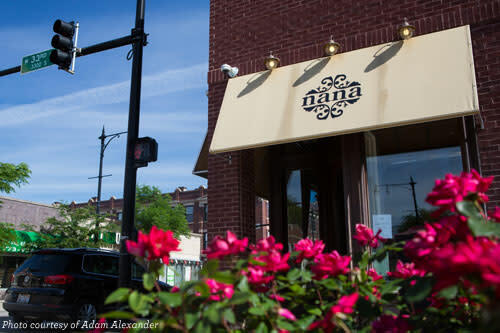 Informal groups looking for organic, local and sustainable Chicago dining will feel at home at Nana, a laid-back eatery where the bounty of local farms and orchards take the form of soups, salads, sandwiches and more. For large groups, book the Halsted Room (50 seated/65 cocktail). Give team members a break from business at the casual-yet-refined DeColores Galeria y Sabores, a colorful Mexican restaurant in Chicago’s Pilsen neighborhood, offering authentic dishes, flavorful margaritas and moderate price points. An upscale Chicago gastropub with a rustic, welcoming vibe, The Duck Inn touts a menu packed with hearty, homey fare—with a modern twist. Guests will love dishes like Wagyu skirt steak served with twice-cooked sweet potatoes or braised pork shank alongside garden pepper spätzle. Find an array of group dining options at reasonable price points. Prix fixe is the name of the game at Han 202, a Chicago BYOB eatery with Asian-inspired eats. The $35 per person menu makes it easy to stick to a budget, while the four courses allow guests to choose plenty of options, from Shanghai dumplings to spicy Mongolian beef to crispy quail. For an elegant experience that won’t stretch the expense account, MingHin Cuisine in Chicago’s Chinatown features traditional Cantonese cuisine in an upscale setting. 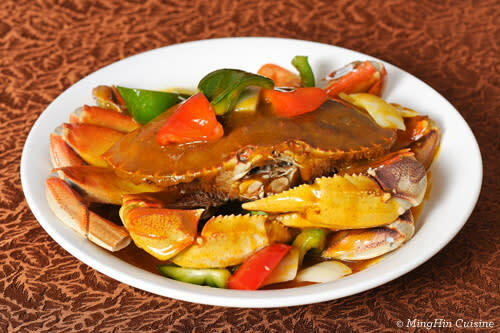 From delicate dumplings to whole fish and crab, diners will love the array of high-quality seafood and specialty dishes. Book one of the VIP rooms for a private dining experience. Another option for high-end yet affordable ethnic cuisine is Kurah Mediterranean in Chicago’s South Loop. The exotic dishes include traditional specialties such as shawarma, biryani and kebobs, as well as flatbreads and burgers. For smaller groups, book the private room, or reserve the airy, beautifully decorated main dining room for up to 100 guests. Looking to raise the bar on your Chicago group dining experience? 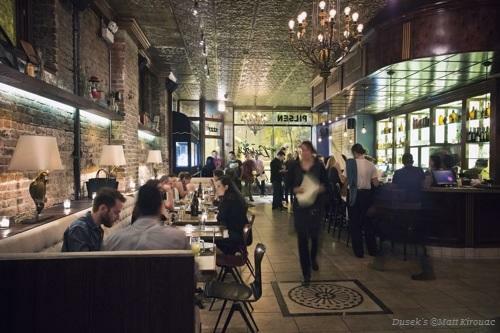 Try these restaurants close to McCormick Place that have earned coveted Michelin-star ratings. Dusek’s Board & Beer in Chicago’s Pilsen neighborhood may be on the casually hip side, but its flavors and service are exemplary, as evidenced by its Michelin-star rating. 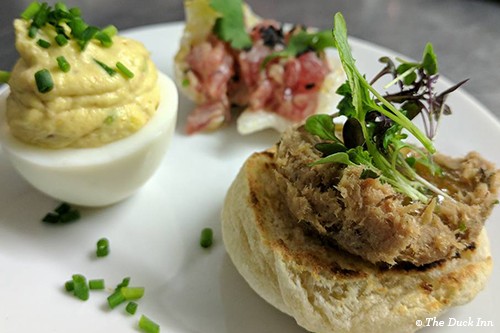 The gourmet pub food (featuring everything from fresh seafood to locally sourced meats) pairs well with the beer-centric drink list, and the homey vibe welcomes conversation and networking. For large groups, this restaurant can be closed to the public for private events (90 seated/150 cocktail). If you’re looking for more of a fine dining experience, Everest (which celebrates its 30th anniversary this year) also boasts a Michelin-star, and its elegant ambiance reflects that distinction. 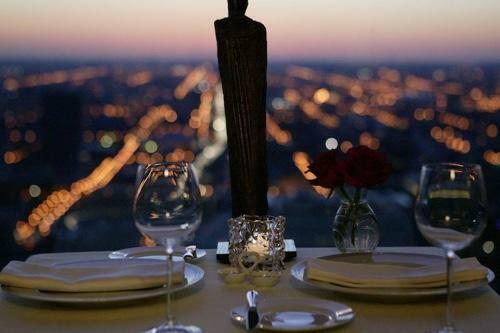 Perched high above the city on the 40th floor of the Chicago Stock Exchange, its spectacular city views impress nearly as much as Chef Jean Joho’s fine French cuisine and carefully selected wine list. Indulge in Everest’s decadent seven-course degustation menu, or book one of the private dining rooms, which offer specialized dinner menus to suit your group. If money is no object, opt for Acadia. 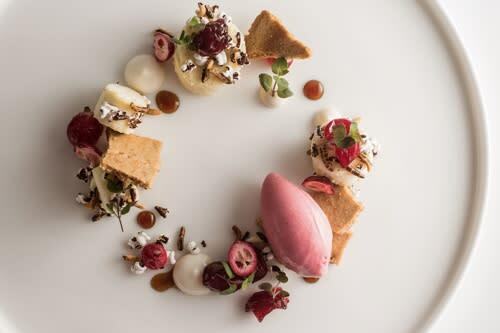 No stranger to culinary recognition, this contemporary American Chicago hot spot received two Michelin stars and has also earned four stars from the Chicago Tribune, as well as a nod from the James Beard Foundation to Ryan McCaskey as a semi-finalist for Best Chef/Great Lakes. For unforgettable Chicago group dining that will impress even the most discerning attendees, book the five- or 10-course dinner featuring an ever-changing menu based on seasonality and inspiration. A private event room is also available (20 seated/35 cocktail). Discover even more options for dining near McCormick Place.